Sale captain Dan Braid will miss the rest of the season with a knee injury. The ex-New Zealand flanker has had a minor operation and will sit out their final two Premiership matches against Leicester Tigers and London Irish. Braid, who has scored seven tries in 23 outings this season, has not played since a home victory against Northampton Saints on 22 March. "His leadership is second to none. 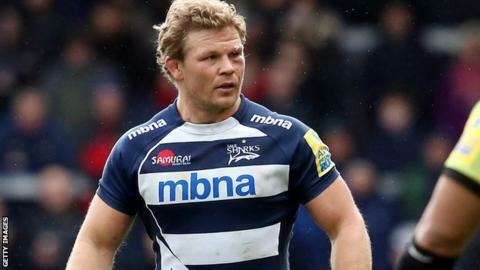 He's been fantastic for the club," said director of rugby Steve Diamond. He told BBC Radio Manchester: "He puts his body on the line time and time again." Led by 33-year-old Braid, the Sharks have enjoyed an excellent season and are guaranteed to finish in the top six. Diamond's side are sixth, but lie eight points behind fourth-placed Leicester and their chances of reaching the play-offs appear remote.